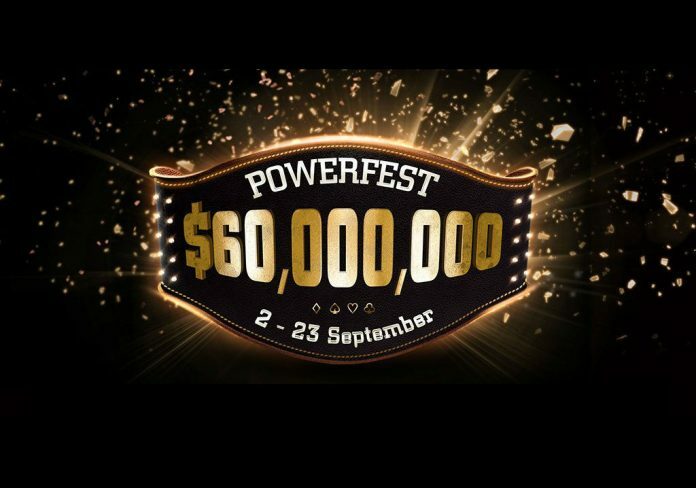 Another day, another list of impressive partypoker POWERFEST winners. Day 11 of the series saw ten new champions crowned in the High and High Roller tiered events. The biggest winner of the day was Joshua ‘slayerv1fan’ Hoesel, who took down Event #70 High Roller: $1,050 No Limit Hold’em Six-Max for $74,000. That victory brings Hoesel up to $2.5 million in career online earnings. The Netherlands’ Alessandro ‘SandaiKitetsu’ Sarro also bagged himself a title on Wednesday with a win in Event #69 High Roller: $530 No Limit Hold’em Progressive Knock-out. Not only did he bank $19,671.28 for the win (following a heads-up deal with ‘rafaelmoraesgm’), he also won $19,790 in bounties. We also saw Belgium’s Christophe ‘getmechips’ De Meulder claim a victory yesterday. He came out on top of Event #70 High: $215 No Limit Hold’em Six-Max, outlasting 984 runners to win $33,500. At the end of the night De Meulder would also make another final table, finishing sixth in Event #73 High: $109 No Limit Hold’em Six-Max Turbo for $1,200. Shout outs go to ‘alienrobot’ and ‘Doyle883’, both of whom also made two final tables yesterday. ‘alienrobot’ placed fifth in Event #69 High: $109 No Limit Hold’em Progressive Knock-out for $2,754.65 (+ $330), and also finished fifth in Event #72 High: $109 No Limit Hold’em Fast Progressive Knock-out for $1,621.80 (+ $1,074). Meanwhile, ‘Doyle883’ took down Event #71 High: $109 Pot Limit Omaha Hi-Lo Six-Max for $4,818.21, and finished sixth in Event #71 High Roller: $530 Pot Limit Omaha Hi-Lo Six-Max for $2,125. Other winners on the day include ‘JL_LAGRANGE’, ‘TheDudes777’, ‘HuckleberryF1nn’, ‘AussieOsbourne’, ‘samygold13’, and ‘BateBicoPLZ’.